Members of the newly-formed Technology Student Association (TSA) at Henryetta Middle School are trying to get to Atlanta Georgia. 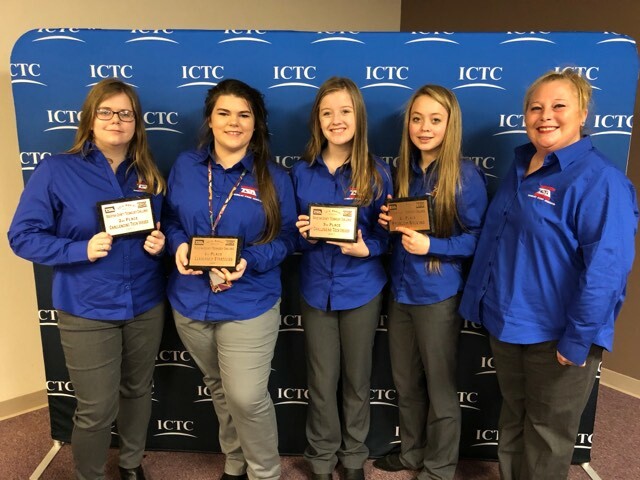 The trip is to allow Emily Payne, Autumn Steele, Lottie Johnson, Teliya Woods and instructor Krystal Rogers to attend the National competition in June. TSA is is a national organization of students engaged in science, technology, engineering and mathematics (STEM). At the national competition, students have an opportunity to compete in everything from biotechnology to computer coding, photography and even writing. “This is an exciting event that our students can benefit from and, when they come back, help make STEM even more attractive to other students,” said Rogers. She said any donation will be accepted and she can be reached through the middle school office.